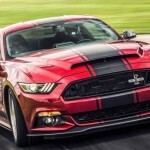 Shelby finally unveiled its latest Mustang-based Super Snake with up to 750 supercharged horsepower. This supercar looks impressive to say the least, and it will come in just 300 units. However, even though this car looks fantastic, the price is really high and it has really strong rivals. 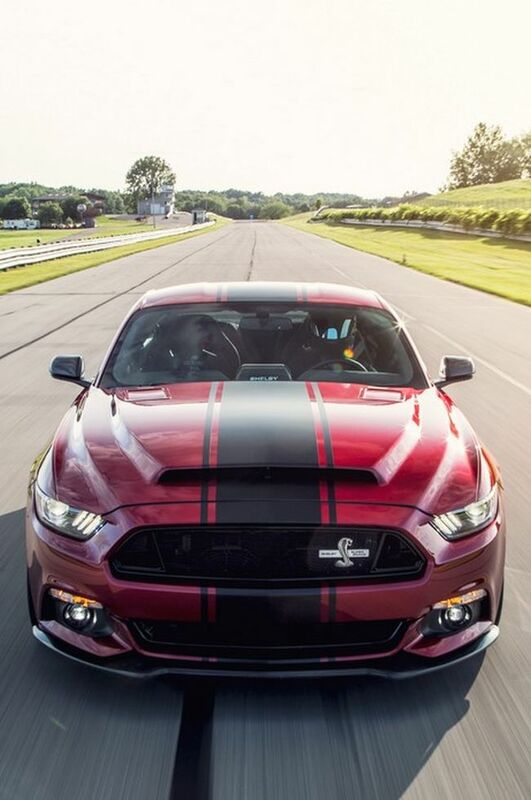 Because of that just a very few special customers will get to own this new – 2015 Shelby Super Snake. 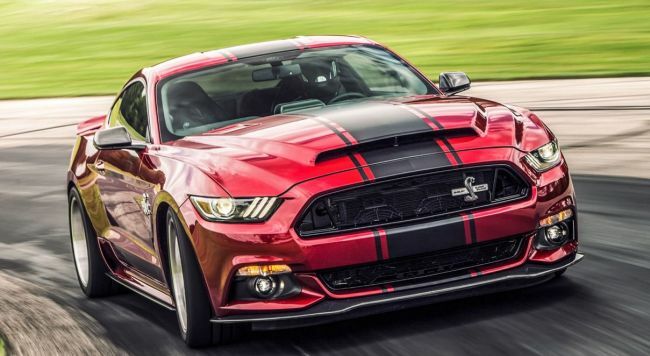 Exterior wise, the 2015 Shelby Super Snake comes with a fresh and modern look. It will have a narrow shark bite front fascia and slimmed-down headlights. In front is a carbon-fiber Super Snake hood, adorned with a forced-air scoop. It also comes with a new, black anodized material grille. To improve aerodynamic, the company added a carbon-fiber splitter up front which is complemented by a larger carbon-fiber spoiler that is hanging off the trunk lid in the rear. The carbon-fiber is used in the new rear diffuser, taillight panel and rocker panels with side-skirt aero blades in front of the rear wheels. There are also Super Snake racing stripes and external badging. As exterior got extensive upgrades, the interior also got some of the improvements. In the interior a special CSM badging is included, as well as floor mats and sill plates. The headrest covers will also come with the Super Snake treatment. 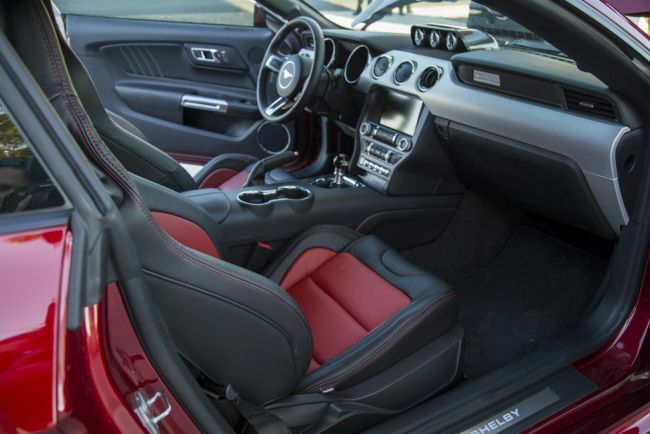 The interior gets a dash-mounted gauge pod which is made of carbon fiber and equipped with Auto-Meter gauges for things like boost pressure and oil pressure. The 2015 Shelby Super Snake comes with several optional extras which are very functional and aesthetic, including racing seats, five-point racing harnesses, upholstery upgrade, Shelby valve covers and a carbon-fiber latch cover. 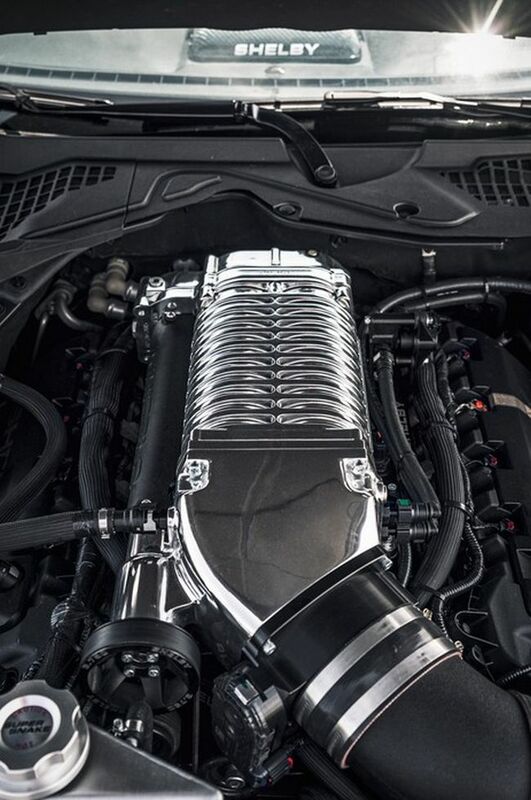 The 2016 Shelby Super Snake will have under its hood the V-8 with 435 hp and 400 pound-feet of torque. 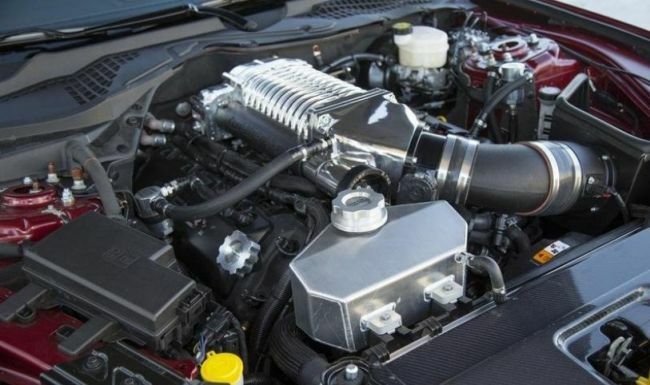 The company adds to this the Ford Performance supercharger kit that increases the output to 627 ponies. The company also offers the option for more muscle, a more powerful supercharger kit which creates over 750 hp, respectively. This is on pump gas and it is emissions-legal in all 50 U.S. states. 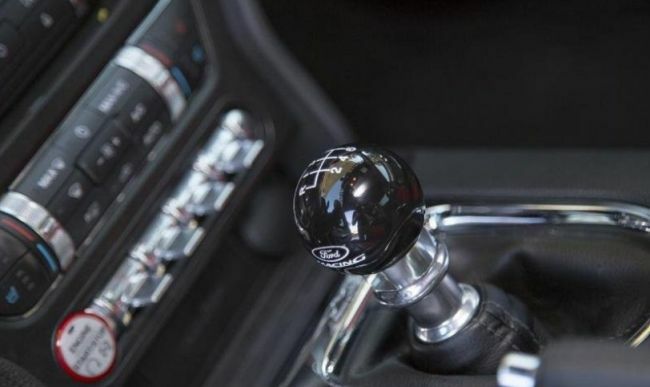 The very exciting news is that the Shelby Super Snake will be available for the first time with a six-speed manual and a six-speed automatic transmission. This model comes with Michelin Pilot Super Snake tires wrapped around 20-inch WELD Racing Super Snake wheels. One of the options under the hood are an upgraded intercooler and cooling kits for the differential and transmission. The Ford Performance suspension kit includes a jounce bumper and hard-wear pack, lower springs, new sway bars and a rear toe link kit. Additional options include a brake duct kit, adjustable rear control arm and camber/caster plates. Shelby will produce only 300 units of the 2015 Shelby Super Snake, so the owners of this new Shelby will have a rear vehicle indeed. The price tag will be 82.300 dollars. The main competitors are: the Dodge Challenger Hellcat and the Chevrolet Camaro Z/28. The good things about the Super Snake are its monster horsepower, fantastic look and its exclusivity. However, this car is very expensive and it has very strong competitors. What an amazing car. This is one of the best Shelby alterations that I ever seen. With this design, horse power ,torque , I can honestly say that I’m delighted. One to buy for sure. No kidding, just look at the engine specs, incredible, and this colors suits him perfectly. Is there any info on color specter that is available for this model? The Super Snake is a whole lot much more advanced compared to other Shelby models, I think. 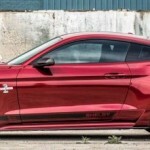 Shelby hasn’t already merely upped specs, it has also made that the remainder of the vehicle will not tremble itself to items – there are beefier half shafts, reduced, stiffened suspension, as well as a custom collection of equipment proportions.